Spring means the first day of LOVEBIRD SEASON is just around the corner! 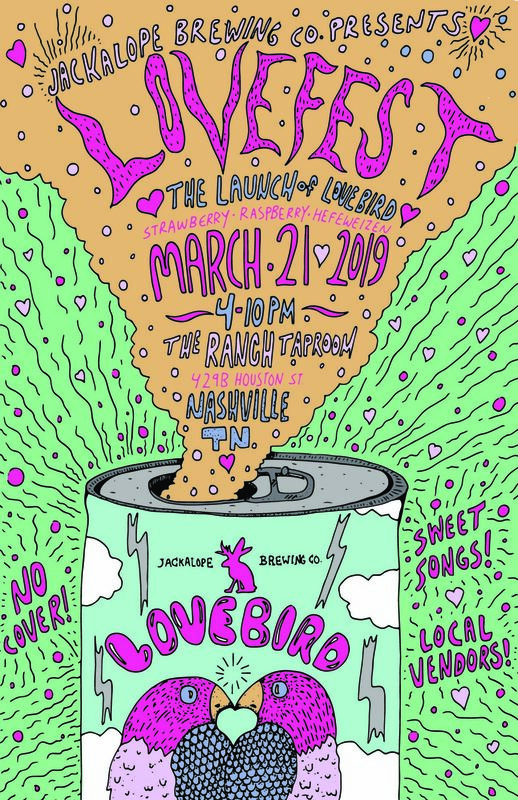 Join us Thursday March 21st from 4:00-10:00pm at The Ranch Taproom for the official launch of Lovebird Strawberry Raspberry Wheat. The abundance of strawberries and raspberries married with wheat in each batch of Lovebird results in a light yet flavorful brew. The fruit adds a tartness and berry aroma, as well as a slightly pink color, while the wheat gives it velvety base. Named after the legendary bird itself, this beer is best drank in rounds of two.